Satellite imagery from May 12, 2018 shows the deployment of several new weapons systems to China’s base on Woody Island in the Paracels. 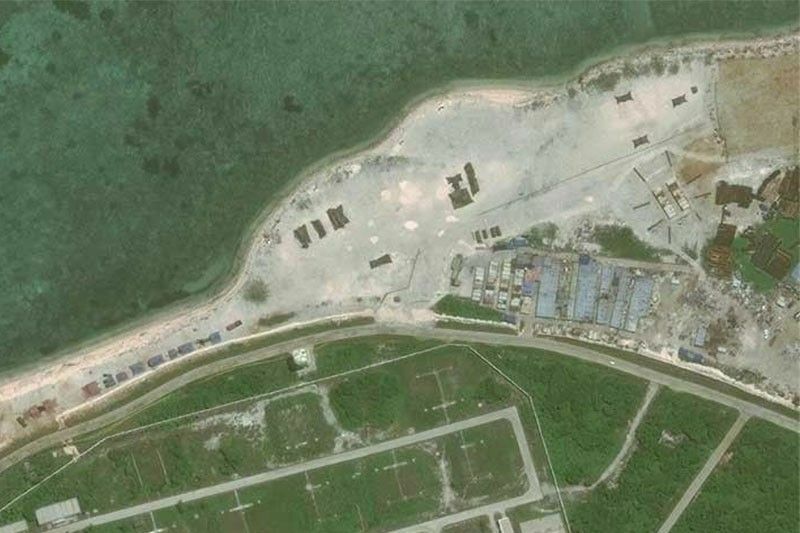 MANILA, Philippines — Beijing's southern Sansha City is planning to build an "island city" on the Paracel Islands in the South China Sea, according to a report. Hong Kong-based South China Morning Post reported that officials of Sansha City met last Friday to discuss the development of Woody Island and two smaller islets — Tree islet and Drummond islet — in the Paracels. Sansha City, which is part of the Hainan province, administers three islands groups — Xisha or Paracel Islands, Nansha or Spratly Islands and Zhongsha. It is the same city that administers Beijing's artificial islands in the Spratlys, which are also being claimed by the Philippines. Woody Island, the largest island in the Paracels, is also being disputed by Taiwan and Vietnam. According to the SCMP report, Sansha City is eyeing to transform the Woody Island and the two smaller islets into a "national key strategic service and logistics base." "We need to carefully plan the overall development of the islands and reefs based on their different functions, taking into account their complementary relationship," Zhang Jun, Chinese Communist Party secretary of Sansha, said in a statement posted on the city government's website. This statement follows the declaration of Chinese President Xi Jinping in April last year that "Hainan will become an example of the nation's image" during the province's 30th anniversary. The statement of Sansha City did not specify the details of the development plan but stated that the government must "take active steps and demonstrate their initiatives" to satisfy the party leadership, the SCMP reported. Earlier this month, US Secretary of State Michael Pompeo called out China's military activities in the disputed South China Sea, which threatens the Philippines' sovereignty. The US top diplomat assured the Philippines that it will come to aid in case of an armed confrontation with China as part of the 70-year old defense treaty between the two countries. "As the South China Sea is part of the Pacific, any armed attack on Philippine forces, aircraft or public vessels in the South China Sea would trigger mutual defense obligations under Article 4 of our Mutual Defense Treaty," Pompeo said in Manila. While Woody Island, where China is planning to build a logistics base, is not being claimed by the Philippines, Beijing's strategic bombers on the island can reach Manila. In May 2018, China landed a nuclear-capable H-6K bomber on Woody Island, raising alarm in the region. Washington-based think tank Asia Maritime Transparency Initiative said the combat range of the Chinese bombers can reach the Philippines.